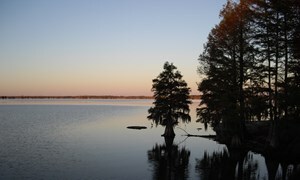 "Santee Cooper Country", say the words and the mind conjures up dozens of images. 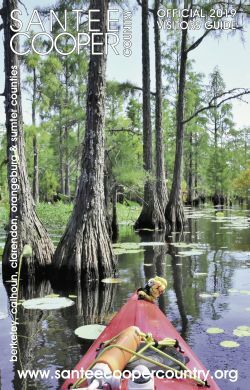 Five counties, Berkeley, Calhoun, Clarendon, Orangeburg, and Sumter surrounding two lakes, two rivers, two canals, a vast swamp and 450 miles of shoreline, 171,000 acres of land covered by 6.5 million gallons of water - Santee Cooper is awesome. Lakes Marion and Moultrie are famous as the home of the landlocked striped bass. Along with stripers, largemouth, crappie, bream, and catfish offer an exciting challenge for anglers. These are the "great lakes" of South Carolina. The region is located between Columbia, South Carolina's capital and historic Charleston, both within a one hour drive. Santee Cooper Country is easily accessible, Interstates 95 and 26 intersect here and there are three airports only 1 hour away. 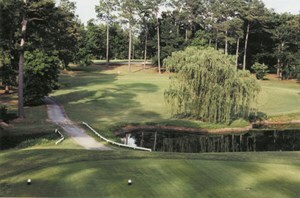 Golf here may well be one of the best-kept secrets of the sunbelt. Lovers of the game are well pleased with the variety of courses in the area. Within a 45 minute drive of Santee, golfers can play 14 championship, 18 holes courses. If you just want to relax and get away from the pressures of everyday life this is the place to do it. Our pace is slow our people are friendly. There are plenty of places to stay, from full-service motels to lake cabins, or if you would rather camp we have over 1,000 campsites located around the lakes. Dining is an experience. You can sample good old Southern home cooking, traditional barbecue or a local favorite, fried catfish. History and beauty abound in our five-county region. There are museums, parks, breathtaking flower gardens, hiking, biking, canoe and kayak trails, historic Revolutionary War sites, lake and river tours and much more.